Online Interest Based Advertising. What does it mean? - How to control what online-interest based article you see- You just logged onto a website or your Facebook or Youtube or Instagram account and suddenly, an advert comes up. Sometimes its about a hotel or an eatery or a product. All the same, these adverts are showing you what services the advertisers are offering. Lets take a look at what Online Interest Based advertising is all about and How to control what Online interest based article you see. Facebook, or on other websites and apps where FB serves ads. You can control whether you see online interest-based ads from Facebook in your settings. 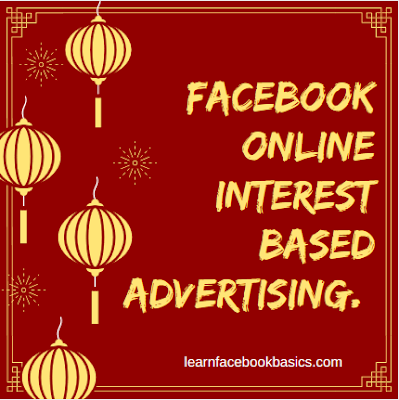 Bear it in mind that if you choose not to see online interest-based ads from Facebook you’ll still see ads, but they may not be as relevant to you. If you turn on or off the ability to see online interest-based ads from Facebook, they'll apply your choice across all your devices and browsers. If you opt in on Facebook, but then later opt out on your device or with the Digital Advertising Alliance in the US, the Digital Advertising Alliance of Canada in Canada or the European Digital Advertising Alliance in Europe, Facebook will apply your choice to opt out only on the device or browser where you made the choice.